Cannabinoids are naturally produced in our bodies. They act on the endocannabinoid system, which regulates pain, mood, memory, stress-response, immune function, sleep, appetite and a host of other things. 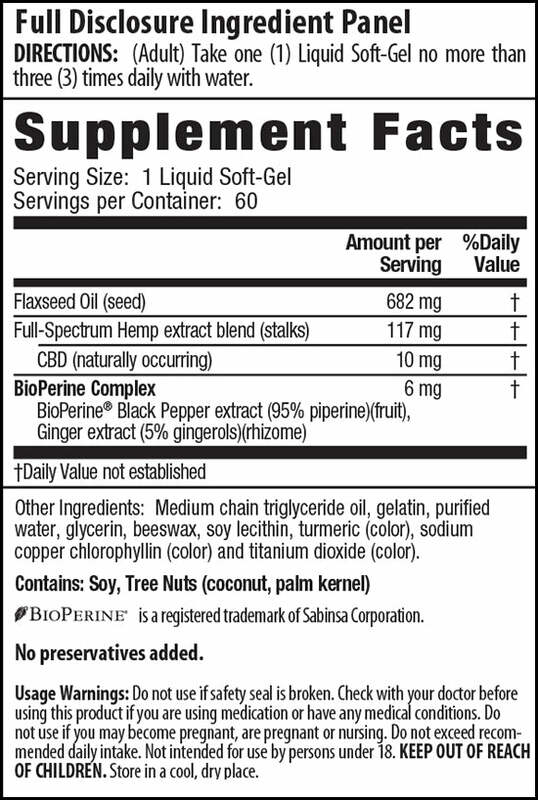 Supplementing with CBD, a plant-based cannabinoid, may have a beneficial impact on this system. * Each soft gel contains 10 mg CBD and 600 mg per bottle.